We are a patients' organisation with 8,000 members, largely run by and for people with ME. We offer up-to-date information via a range of publications and websites - for patients and professionals and help people keep in touch with others with the illness. We also offer advice and support via our telephone helplines and through support of affiliated groups. In 1998 the Government's Chief Medical Officer, Sir Kenneth Calman, made the following announcement: "I recognise that ME is a real entity. It is distressing and debilitating. It affects a large number of people and poses a significant challenge to the medical profession." He established a Working Group, due to report in 2001, which it is hoped will advise his successor on the diagnosis and treatment of ME. 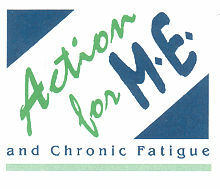 Action for ME is represented on the Group. Too little is known about ME and AfME is keen both to promote research and disseminate research findings to lay and professional audiences.